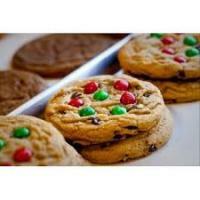 Give your kids a taste of heaven at Mountain Top Cookies. With dozens of flavors of huge cookies to choose from they'll be as happy as....well, a kid in a cookie shop! With shops on Main Street in Breckenridge, River Run in Keystone, and now Copper Mountain, you can't miss the delicious aroma of fresh-baked cookies drawing you into this quaint cookie store. A locals' favorite...and it is easy to see why, Mountaintop Cookies serves up an incredible array of oversized cookies, and even more decadent cookie sandwiches. Easily the best cookie shop in ski country - if not the entire country! Want to take some home or give as gifts? Mountain Top Cookies ships!